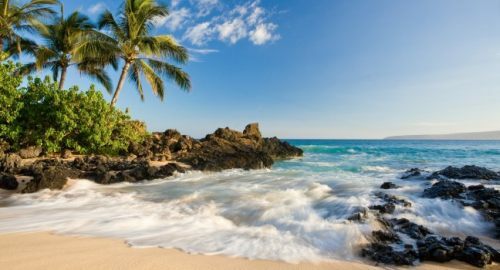 Air Canada and WestJet have both dropped the price of their flights from Edmonton to Maui, Hawaii (OGG) down to $394 CAD roundtrip including taxes. Once you get there, click on the departure date box to bring up the calendar view and try different dates. 2. Once you've found some dates that show up for $395, try a search at AirCanada.com or WestJet.com using the same dates. 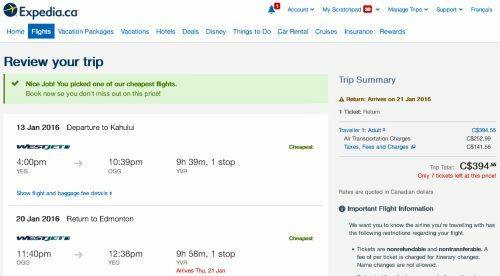 Or, you can try a search on Expedia.ca, and look at options involving taking one airline to Maui, and a different one back. The following AirBNB link will lead you to some great deals on places to stay in Maui for under $149 CAD/night for 2 people. Or, do what a lot of people do for a vacation in Maui, and rent a house or condo from VRBO. edmonton, yeg, flight deals, united states, maui, ogg, hawaii and north america.